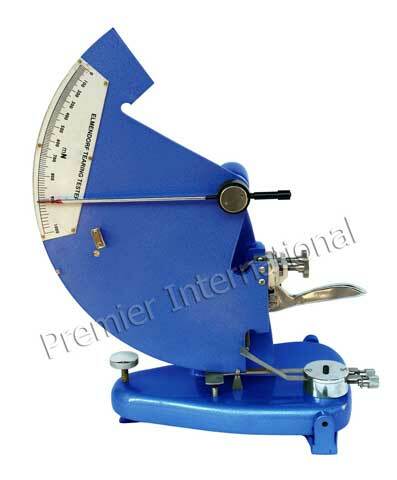 Elmendorf Tearing Resistance Tester is used for measuring the resistance against tearing of paper, board, plastic films and other similar materials. An initial cut is made in a set of test piece, which are then torn through a given distance. The work done in the test piece is measured as the loss in potential energy of a pendulum which is free to swing on it horizontal axis. A calibrated scale indicates the mean tearing force.